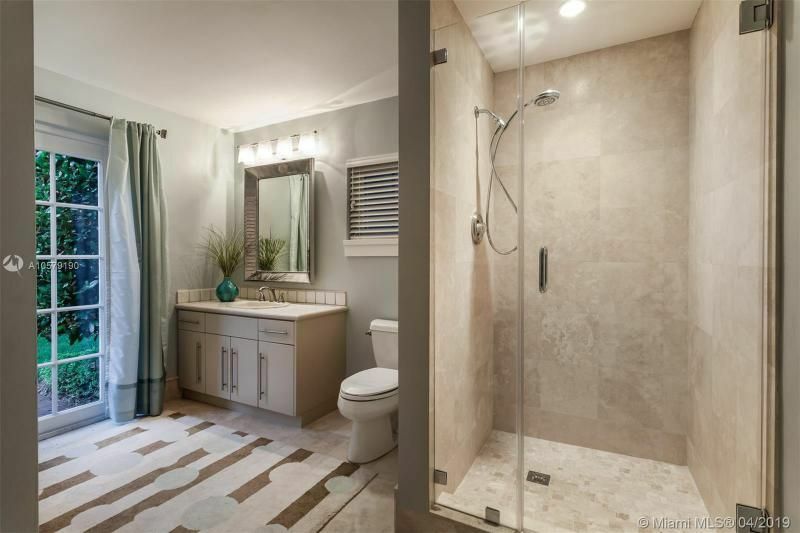 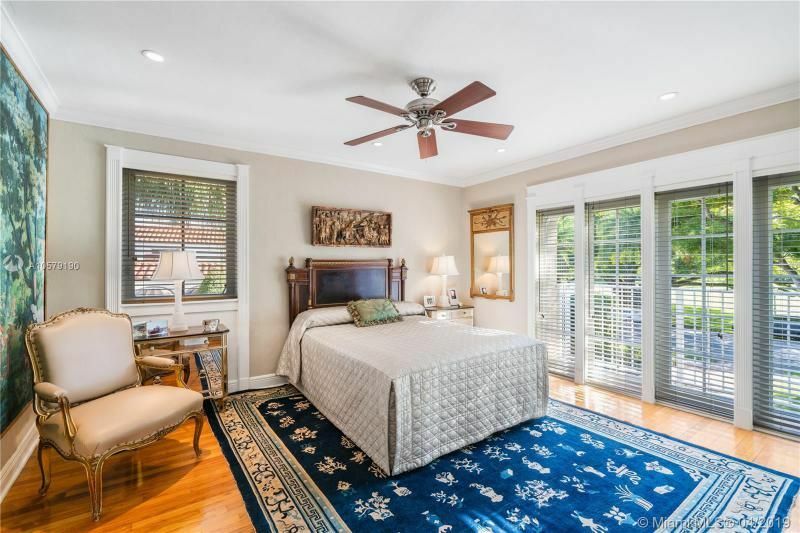 5 Bed / 3 Bath / 1 H.B. 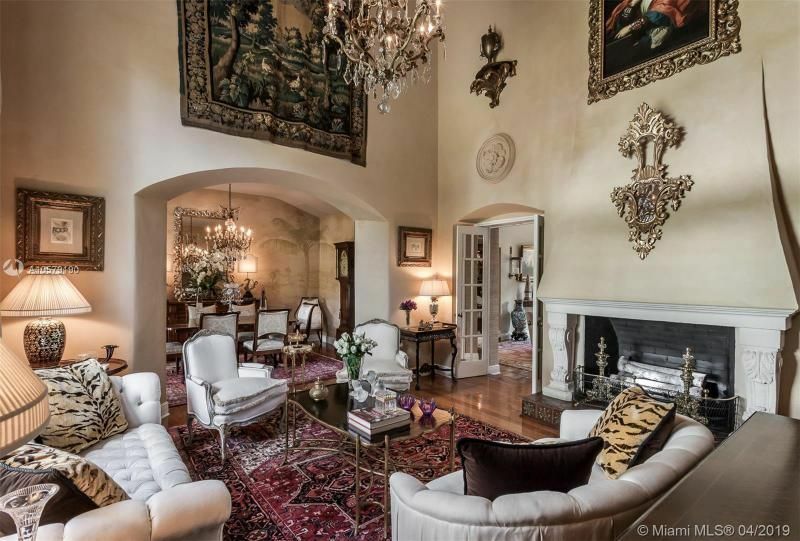 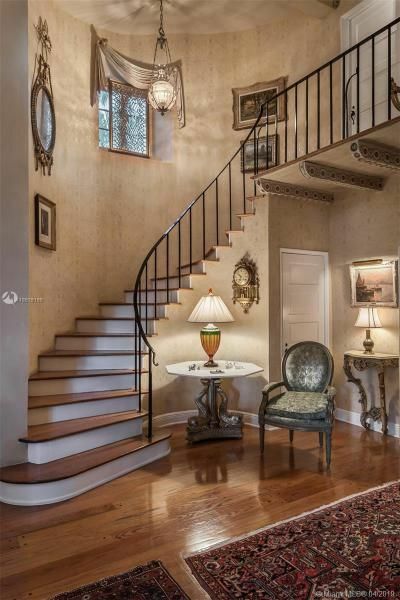 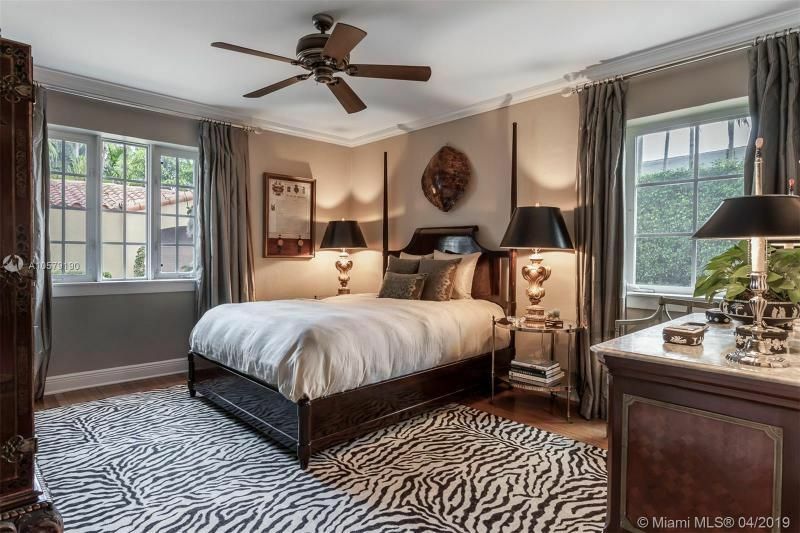 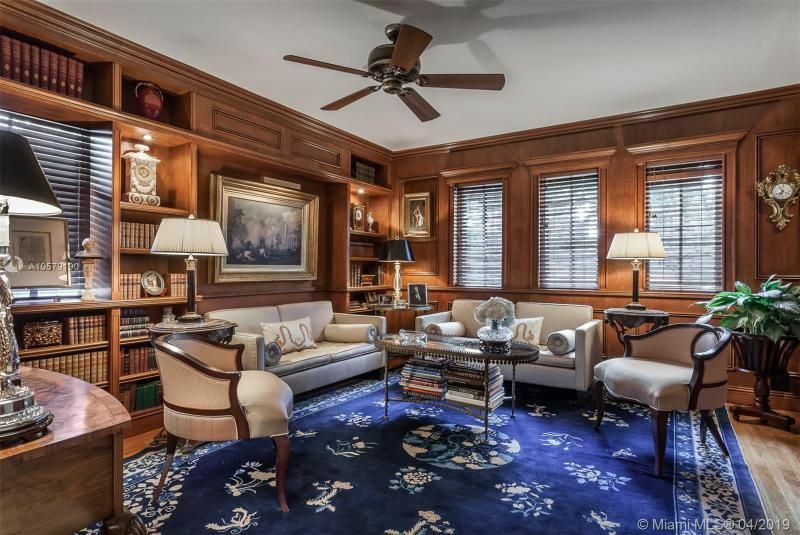 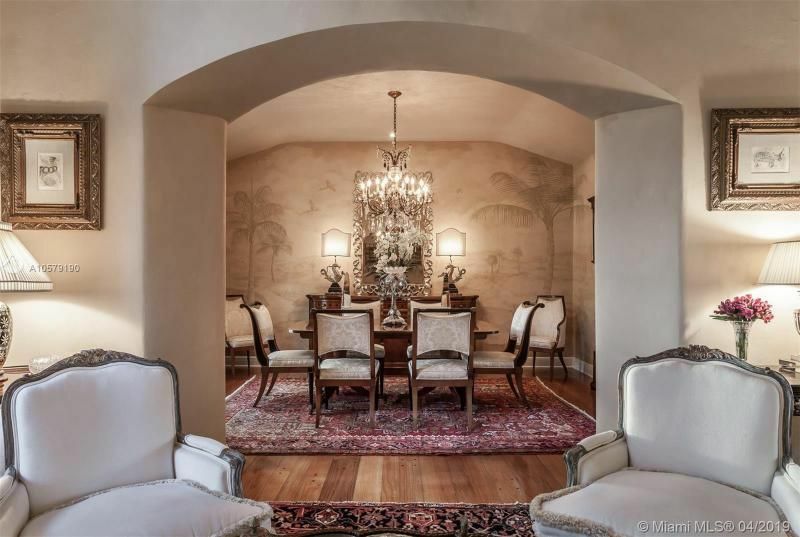 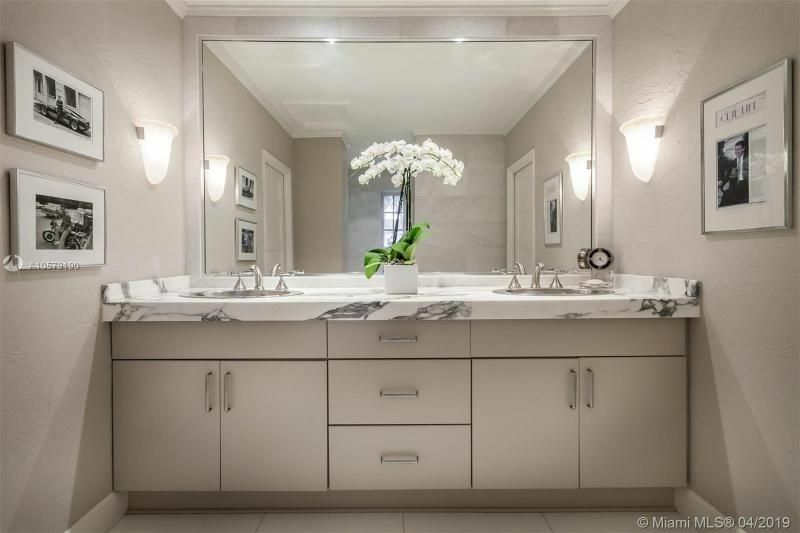 Distinctive architectural details distinguish this magnificent, historic 4,937 sq. 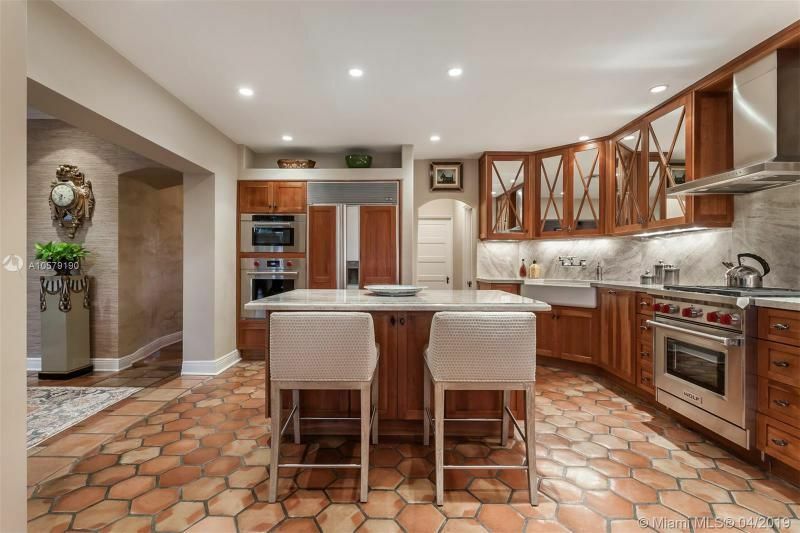 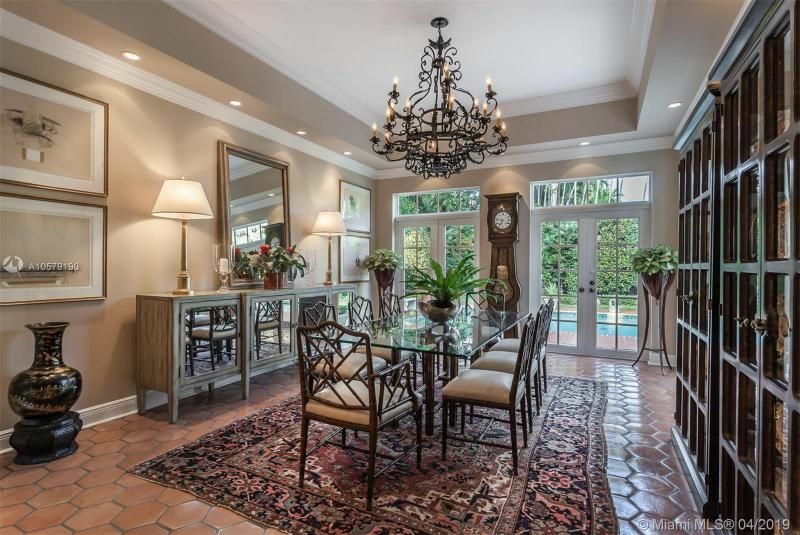 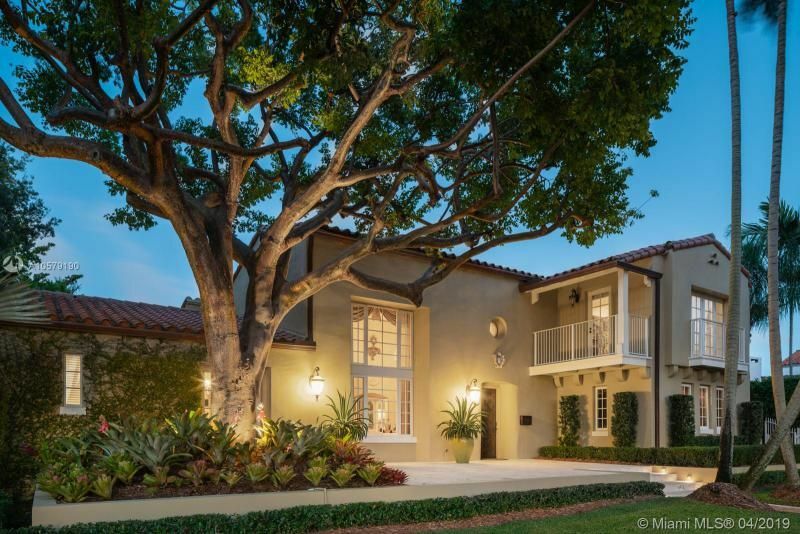 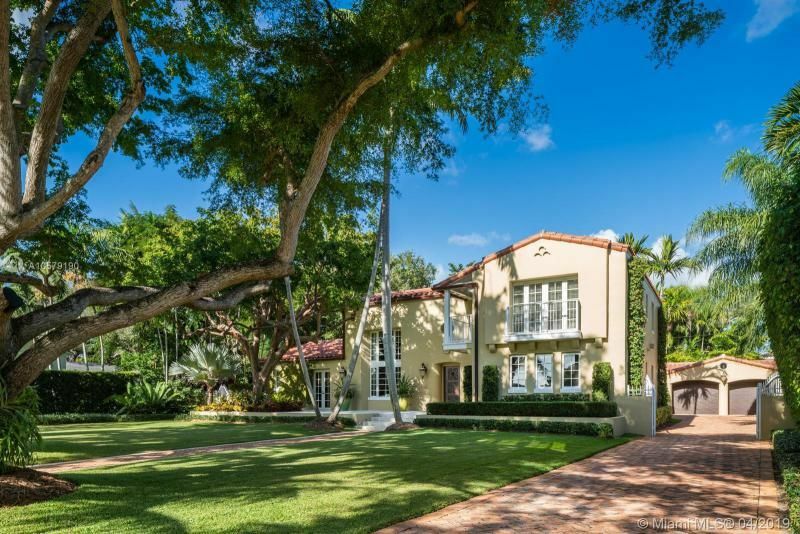 ft. home originally designed in 1938 by noted architects Kiehnel & Elliott.The 5 bed/ 3.5 bath residence offers sweeping unobstructed views of lovely greens & Banyan trees of the Granada Golf Course. 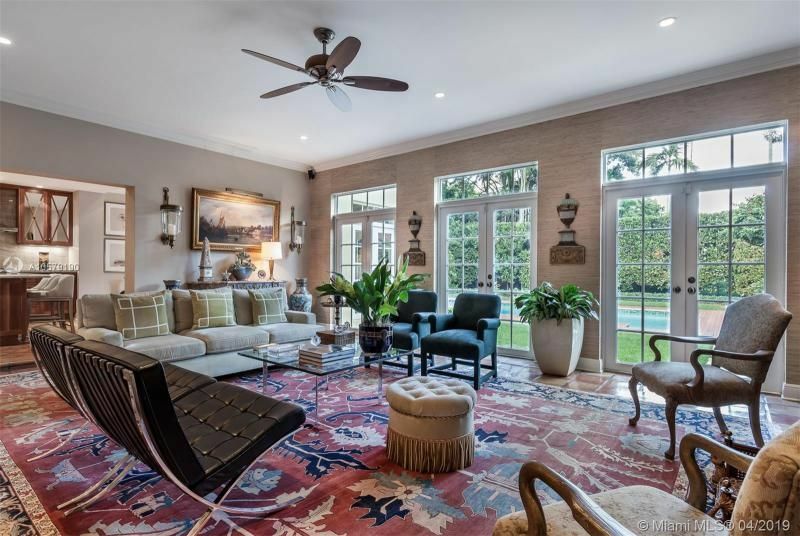 Natural light & massive windows in the living room enhance the 25ft. 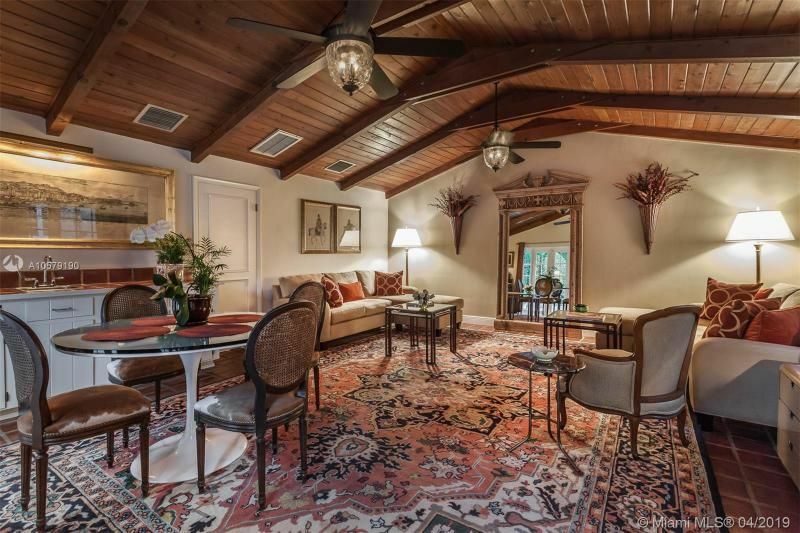 vaulted ceiling with hand stenciled beams.Beautiful tromp loeil walls surround the formal dining room.The elegant staircase leads to an exquisite master suite with upgraded master bath & large dressing area.A delightful cherry paneled library, large family room & breakfast room overlooking a large pool complete the picture.This home features a stunning kitchen with Sub-Zero and Wolf appliances and a charming renovated 1 bed/bath guest house.